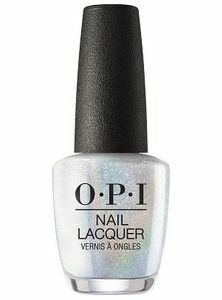 OPI Nail Polish, Tinker, Thinker, Winker?, HRK02, .50 fl. oz. Dense silver holographic micro-glitter in a clear base. Can be worn alone or layered over other nail colors.